Dude! It's an ice-cream with shades! 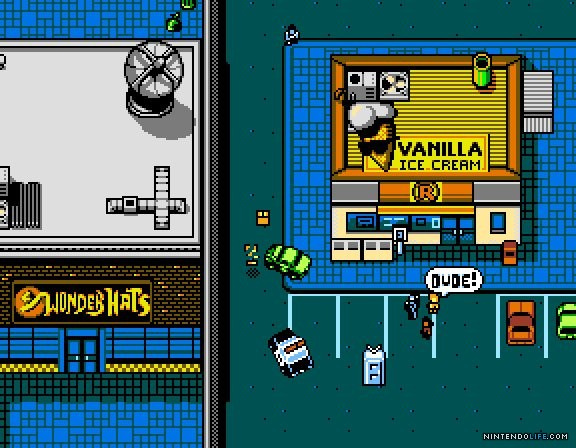 Retro City Rampage arrives on PC and PS Vita today, which may draw some envious glances from Wii owners that were promised this title so long ago. 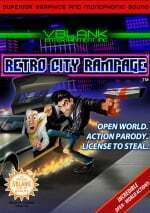 The good news is that developer VBlank has already confirmed that the title is rampaging onto WiiWare later this year, so the wait is hopefully not going to be too long. On the plus side, its arrival on other platforms has prompted the developer to release a new trailer, and with its distinct visual style we can't imagine this footage being far off what eventually hits Wii and, we assume, WiiWare on Wii U's online store. What it delivers is just over 90 seconds of retro bits and enough brightly coloured pixels to potentially cause a minor headache. As well as the expected GTA Retro approach, this trailer shows the sheer volume of pop-culture references from the late '80s to early '90s, along with a host of sequences inspired by well known games from the era and some remixes of recent favourites. You can check out the trailer below. 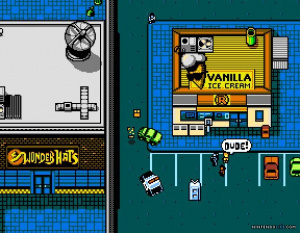 How many of the retro references do you understand, and is this one on your list of download games to look forward to? Still not convinced till its on Wiiware ready for me to purchase. Blarg. Will get the Vita version....why no 3DS version guy? looks awsome, cant wait to get it! Looks awesome. Should be a game of the year contender. I'll be getting on WiiWare - whenever it decides to get released there. It's nothing new or unique to this game...check out 3D Dot Game Heroes or Scott Pilgrim. Retro references are pretty much going to include Nintendo by default, regardless of what platform they're on now. If it comes to the Wii U I may get it then. To look at these very small lo-res objects, strains the eyes. And sometimes the game-screen is only a quarter of the full screen making it even harder to look at. Oh, boy. Uhm, why release something on WiiWare when Wii U is a month away? Or will the Wii U eShop be like the 3DS' and contain both WiiWare and WiiUWare? According to this article you'll be able to play your WiiWare on WiiU. @HarmoKnight what's the problem? Gaming is gaming, regardless of the system you're playing on. @Fudge I agree. It isn't feasible to limit your humor/writing to specific companies and consoles. Looks great! Wish it would come to 3DS! I own RCR for PC (released on 9th) and I think it's a great game, besides the obvious references. I would like to see it on a 3ds in the future, because it will suits perfectly. It's really fun. I went ahead and bought the game for PS3 and Vita since I didn't feel like waiting any longer for it. It's definitely worth the price of admission and the cross platform options are nice. It's too bad this isn't getting a 3DS release, as it's pretty much the perfect kind of game for a handheld system, but at least it'll be on WiiWare. Hopefully it releases soon so those who only game on Wii get a chance to join in the fun. Was that a King's Quest reference in there?